Looking for an eco-adventure with a difference? Combine your need for excitement with a close-up view of the Atlantic Ocean wildlife: a trip aboard a high-powered speedboat that thrills whilst giving you unprecedented access to all the wonderful creatures that inhabit the Atlantic. The semi-rigid hull is powered by two 200 HP motors, skimming the swells at up to 40 knots, giving an adrenaline rush that will be remembered for a lifetime. With safety for both passengers and sea life as a priority, you can be assured of an adventure that leaves only great memories. Two boats are available – Spectre and Captain Nemo – and both promise a sea-sprayed escapade in Table Bay and along the Atlantic coastline that will be filled with wonderful views and sightings. Availability: Rides take place throughout the year, weather permitting. During winters months it is harder to book due to weather. Summer months are best for this activity. Who: Ideal for everyone - just have nerves of steel! Numbers: This experience is for two people. There is a minimum group size of 4 and maximum of 10. Weather: All water sport activities are weather dependent. What to take: Dress sensibly - you will be given a rain suite. Take an extra set of clothes if necessary and perhaps a hand towel for after. Duration: Allow 30 minutes for this experience. Additional Information: Participation is entirely at your own risk. A nominal booking fee with e-voucher included. 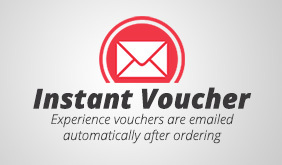 Thanks for all your effort arranging the conversion of my voucher. We had a great time yesterday!